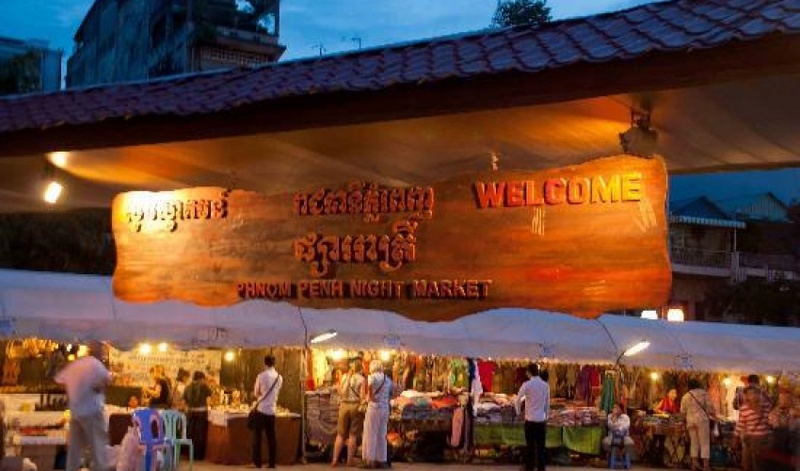 If there are two things dear to the heart of Phnom Penhites, it’s eating and shopping. Not always in that order but, if possible, at the same time. 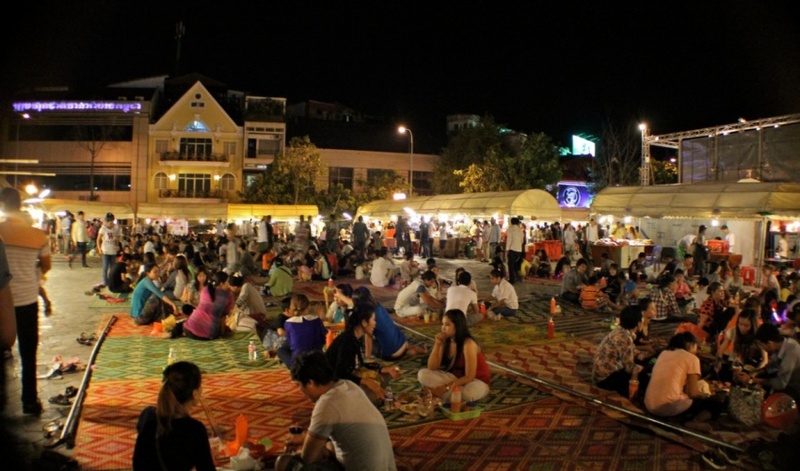 Which goes a long way to explaining the popularity of the weekend Night Market on Phnom Penh’s riverside. Throw in some loud music and a chance to be seen, and you have the perfect combination for an evening’s entertainment. Shopping as the sun goes down. 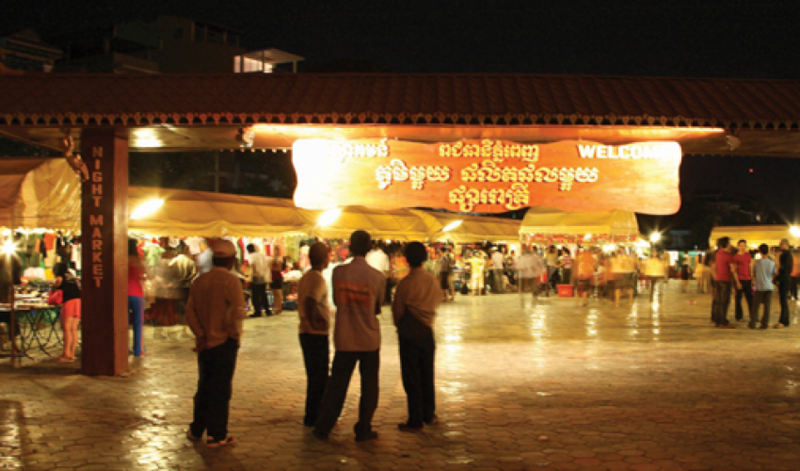 The Night Market (phsar ri-trey in Khmer) is located between Streets 108 and 106, although it’s easiest to enter by the gate at the north end of riverside to avoid scrambling between lines of parked scooters. 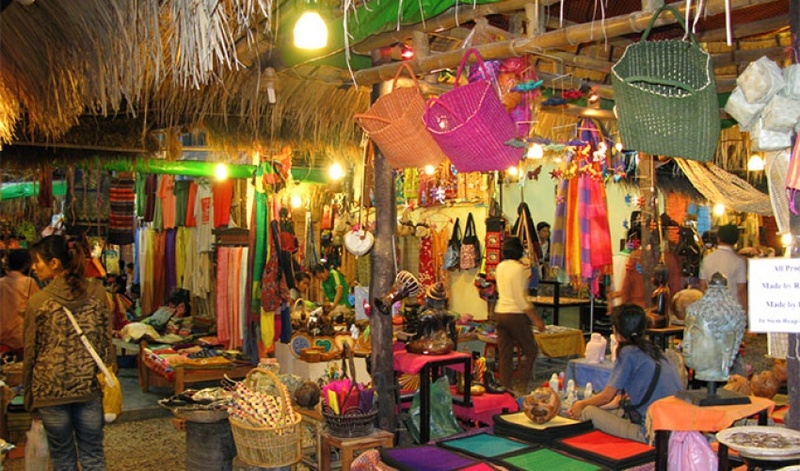 The stalls open at dusk every Friday, Saturday and Sunday, and business is usually brisk until at least 21:30. 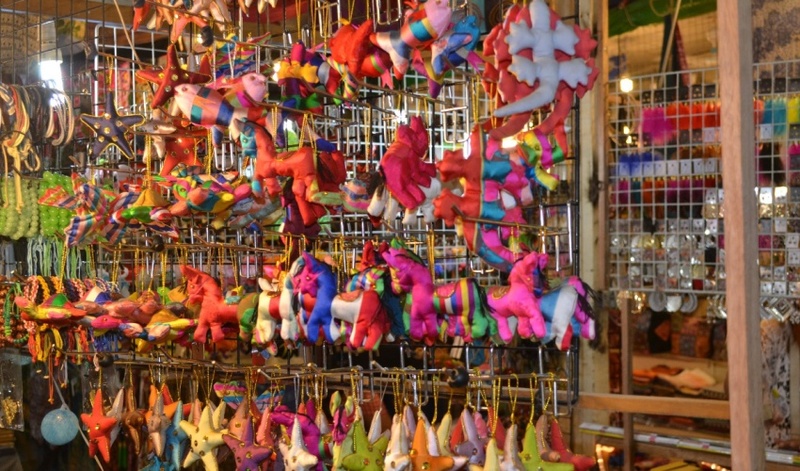 If you’re expecting row upon row of specially selected tourist souvenirs, you might be disappointed. 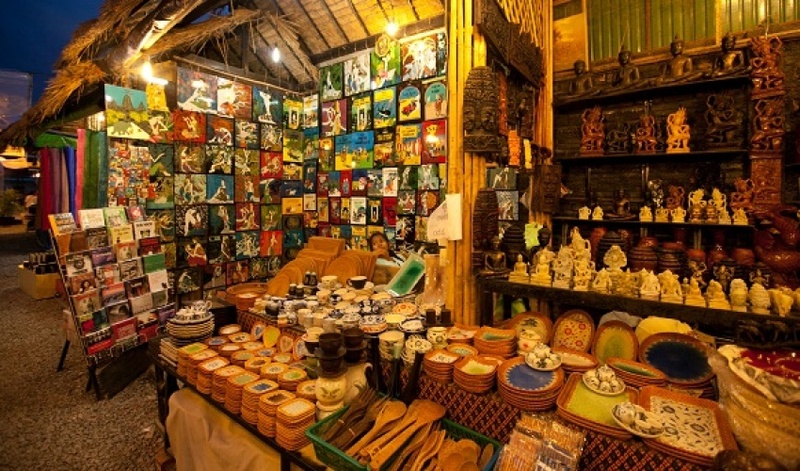 While there are a few vendors with carvings, silk scarves and Angkor Wat ashtrays, most of the merchandise is aimed at local customers. Which is just fine by us, because otherwise we might have missed out on that pink Gangnam Style T-shirt. 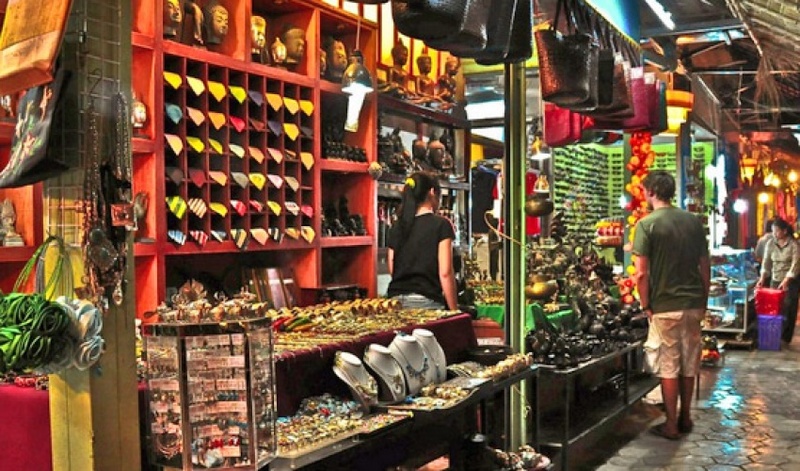 You’ll find a selection of Asian fashions, impossible designer brands with misspelled names, sparkly jewellery, cushions and beautiful paper flowers. Prices are often advertised but if you’re buying multiple items, you’ll probably get a discount. 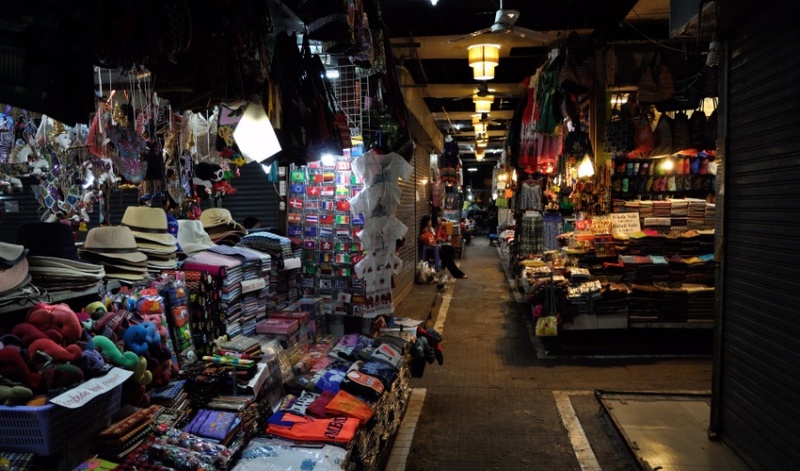 In the centre of the market is a stage which hosts members of the Night Market band, who would probably do well in a wannabe K-pop star talent contest. 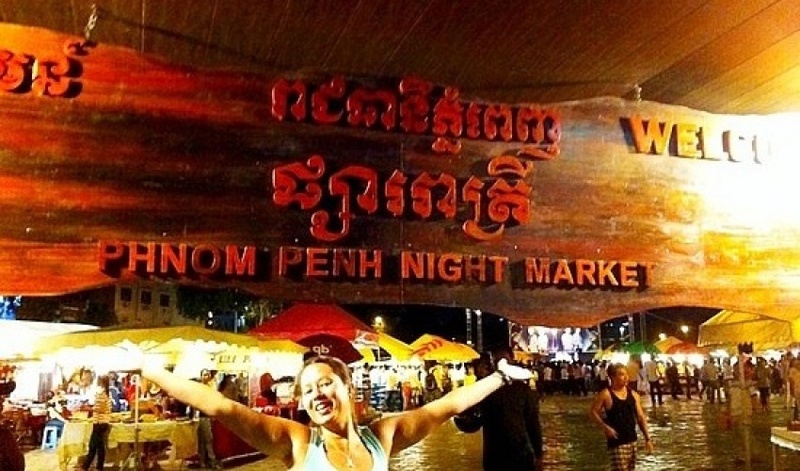 They’re usually engaged in cutesy choreographed dances, belting out dance numbers and Khmer love songs. Nearby, some enterprising artists have set up a portrait gallery, with your face replicated while you wait. 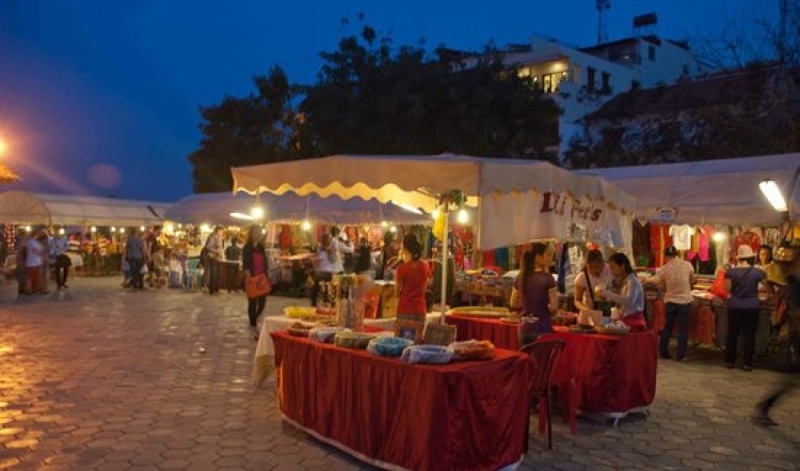 Behind the entertainment, furthest away from the riverside, is the open-air food court. No trip to the Night Market would be complete without eating something on a stick. And there’s plenty of somethings to choose from. 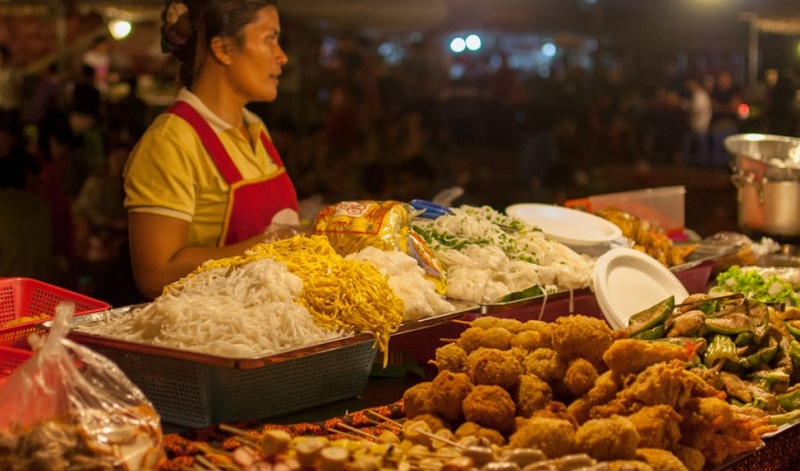 If the unspecified kebabs don’t do it for you, try the fried noodles, papaya salad or rice cakes. Just be careful with the boiled eggs as you’re likely to get more contents than you expected. You'd be tetchy too, if you'd had a stick inserted there. When you’ve grabbed a plate and got a fruit shake, beer or sugarcane juice to wash it down, add your shoes to the pile at the edge of the expanse of floor mats. The trick is to find an empty spot to sit, negotiating the family groups and friends already chowing down. Each mat comes with communal tissues, chilli sauce and pepper and lime mix. If your knees aren’t what they used to be, there are some metal tables and plastic stools by the food stalls instead. 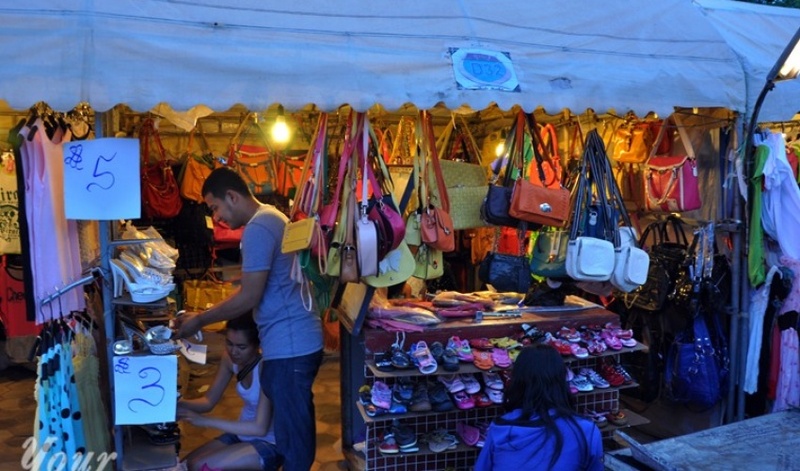 The Night Market is a fun introduction to retail therapy the Khmer way, avoiding the sweaty mazes and trip hazards of the day markets.